Most of the world’s automakers consider self-driving cars as the hallmark of 21st Century transportation. Suggesting that self-driving automobiles will dominate the market in the near future makes some drivers nervous and uneasy. There is clearly some public anxiety about a car driving itself and limiting the amount of human control over its movement. Certainly, it would seem that self-driving cars will have significant effects on road safety. In examining how the use of self-driving vehicles will affect motor vehicle accidents, one thing is clear – humans are at fault in the vast majority of motor vehicle accidents. A study in California of self-driving cars operating in autonomous mode revealed that of 38 incidents, every accident but one was caused by a human driver. 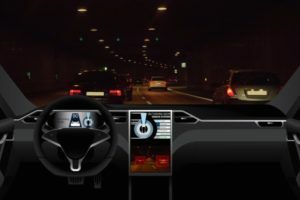 During those accidents when the cars were driven in conventional mode and involved human interaction, only six of 19 were caused by the self-driving technology. The key for consumers making a transition to AV technology is information – knowing more about these vehicles, how they operate, how they’re tested, and how they’re likely to behave on the streets. Most drivers expect an AV to operate like a human-controlled vehicle (i.e., drive poorly and break traffic laws). A good presumption is to think the opposite – that an AV is going to behave in a lawful manner. One of the most important things to do after any type of accident is to consult with an experienced and knowledgeable personal injury attorney. If you have been injured and require assistance in determining whether you have a potential personal injury cause of action, contact Powell Law at (570) 961-0777 or visit us online. The attorneys and staff of Powell Law carry on the work of a law firm that spans generations and has represented thousands of Pennsylvanians over a period of 113 years. The consultation is free and you don’t pay any fees unless we win your case! Call today.